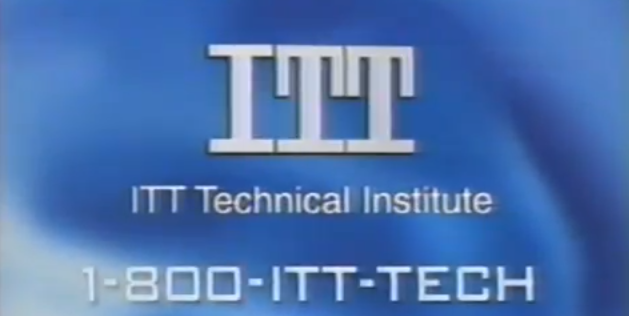 Things don’t appear to have gotten better for for-profit college operator ITT Educational Services since it announced in September 2014 that it was under increased scrutiny from federal regulators, as the owner of the ITT Technical Institute chain revealed on Monday that the Department of Justice is looking into whether the company defrauded the federal government. The for-profit educator revealed the investigation in a regulatory filing [PDF] with the Securities and Exchange Commission. The company noted in the filing that it had received a Civil Investigative Demand from the DOJ seeking “to determine whether there is or has been a violation of the False Claims Act,” which imposes liability on companies who defraud government programs. Under the CID, the Dept. of Justice asks ITT to submit documents and answers to questions related to the company’s compliance with the U.S. Department of Education’s compensation regulations. ITT says it “believes that its practices with respect to compensation matters are in compliance with applicable laws and regulations.” The company says it is cooperating with the DOJ’s investigation. This is just the latest regulatory and legal issue for ITT Educational Services. Back in May, the SEC filed fraud charges against current and former executives with the company for their part in concealing problems with company-run student loan programs. The charges against the company, former CEO Kevin Monday and current CFO Daniel Fitzpatrick stem from their alleged fraudulent concealment of the poor performance and looming negative financial impact of two student loan programs the company financially guaranteed to investors. According to the SEC complaint [PDF], the loans performed so poorly by 2012 that the company’s guarantee obligations were triggered. However, instead of disclosing the issue to investors, the SEC alleges that ITT and the executives engaged in a fraudulent scheme and made a number of false and misleading statements to hide the magnitude of ITT’s guaranteed obligations to the loan programs. Before that, in February 2014, the Consumer Financial Protection Bureau sued ITT for allegedly pressuring students into predatory loans and misleading students on future job prospects and salaries. Additionally, the company has faced actions from several states, including the suspension of GI Bill Eligibility in the state of California in May of this year.